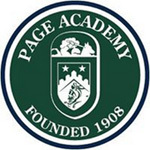 "Providing a firm foundation for spiritual growth, sound education, and genuine friendship"
Founded in 1908, Page Academy is a nonsectarian, coeducational private school with three locations in the Orange County and Los Angeles area. Since our founding more than 100 years ago our mission has never wavered; Page offers preschool with potty training program, extended hours, summer program and advanced curriculum to provide the best student and family centered education to our communities. Page has an elite team of teachers and administrators, small class sizes, progressive curriculum and innovative resources to help young minds and imaginations thrive. A two-week program for new students that allows children and teens to unlock their creative imaginations. Join a faculty of enthusiastic teachers as together they explore voice, movement, creative dramatics, play-making, and character development. Build self-esteem and confidence as part of SCR's exciting summer program. This is an excellent opportunity to explore the dramatic arts! Orange Coast Memorial Medical Center is the only not-for-profit hospital located in the Fountain Valley/Huntington Beach community. We are a full-service, acute care facility offering a wide range of specialty services including an award-winning emergency department, the MemorialCare Cancer Institute and MemorialCare Breast Center at Orange Coast, MemorialCare Heart & Vascular Institute, the Center for Childbirth, the MemorialCare Imaging Center at Orange Coast and the MemorialCare Center for Obesity at Orange Coast. Individual camping along with RVs and trailers in the Orange County Fairgrounds. Pets are allowed but must be kept on a leash at all times and are to stay within the campground only. The Park is open from dawn to 9:00PM, Thursday through Tuesday. It is closed all day every Wednesday for park maintenance. Sabo Eventing and Newport Mesa Riding Center is your location for excellence in horsemanship. With over 30 years of experience from the beginner through the Olympic level we provide a professional and well organized environment. If you are just beginning your journey into the world of horses or ready to compete at the highest level we have a program suited for you and. all ages are welcome. We specialize in the sport of Eventing which requires a through understanding of Dressage, Jumping and Cross Country. We provide not only the training in these areas but travel regularly to competitions when our riders progress to that level. District 62 serves the cities of Costa Mesa, Fountain Valley, Huntington Beach, Midway City and Westminster. Website includes boundry lines, links to specific north Orange County Little League teams, challenger division, age charts and tournament information. Along with computer training sessions, this branch houses technology-related books and magazines, as well as children and young adult paperbacks. Numerous services are offered at Skin Care & Body by Shila! Shila performs a variety of skin care services including chemical peels, microdermabrasion, and medical skin treatments. Along with skin care, she also specializes in numerous permanent cosmetic procedures, Acne Treatments, Body Sculpting, Permanent Make Up, Painless Brazilian Waxing, Lash and Eyebrow Tinting or Eyelash Perming. The Crossing is a place where we accept people as they are. Regardless of your background, you are welcome here. Come just as you are; you don't need to know anything about God, the Bible, church or Christianity. We welcome people who don't have it all figured out, who may have questions or even doubts about faith. We are happy to have you with us! Coastal Real Estate Group - your best resource for information on buying and selling real estate in Costa Mesa, Newport Beach, Huntington Beach, Laguna Beach, Dana Point as well as the surrounding areas of Orange County. Their website is synced with MLS every 15 minutes to make sure that you can get the most up to date information available. With this advanced search technology, you can view listings, or be ensured that your own home is sold in reasonable time and for top dollar. With three locations to store your recreational vehicles, boats and specialty vehicles. Magellan storage provides safety, convenient hours and a hassle-free experience with their state of the art surveillance, 24-hour, 7-day a week access, and amenities such as trickle charger receptacles for indoor tenants, a dump station and wash amenities for all customers, and a friendly staff to help you. Facilities located in Costa Mesa, Irvine, & Torrance. Check their website for special offers. Located in the SOCO Collection, our SOCO Farmers' Market in Costa Mesa is the perfect place to spend a Saturday afternoon. Featuring local farm fresh fruits and vegetables, raw honey, fresh almonds, fresh eggs, meat, and poultry. Enjoy comfort and convenience at the luxurious Costa Mesa Marriott Hotel. Located in downtown near the heart of the business district, the Costa Mesa Marriott Hotel is just blocks away from South Coast Plaza, the Segerstrom Center for the Arts and minutes from Irvine and Orange County / John Wayne Airport.